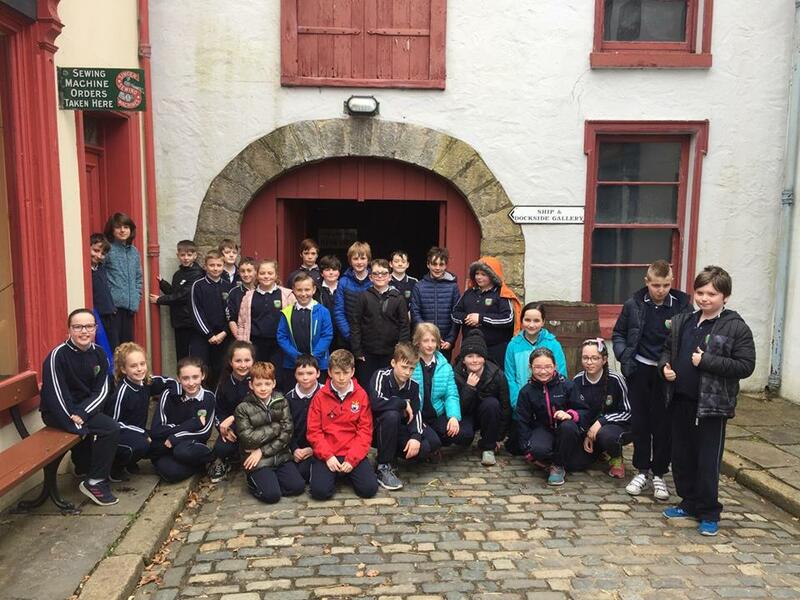 On the 26th of March our class went to the Ulster American Folk Park in Omagh county Tyrone. The two worlds were completely different. We personally liked the old world better. We went on a pretend boat with fake people in the beds, it was creepy. The boats name was the Fortunata. The man who was telling us about it was a great actor. 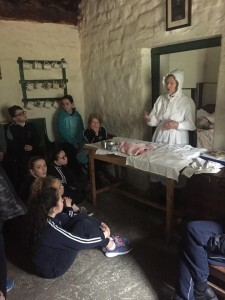 We learned about how so many people did not survive. When we first walked into the new world, there was a lady standing there waiting to talk to us, she said not to trust anyone. Then she pointed out mags halligan the woman in the window and took the bag full of coins the man gave Ms James on the boat, and ran away. After that we went into a grocery shop full of different types of old food, the lady who was the shop keeper was not very enthusiastic. 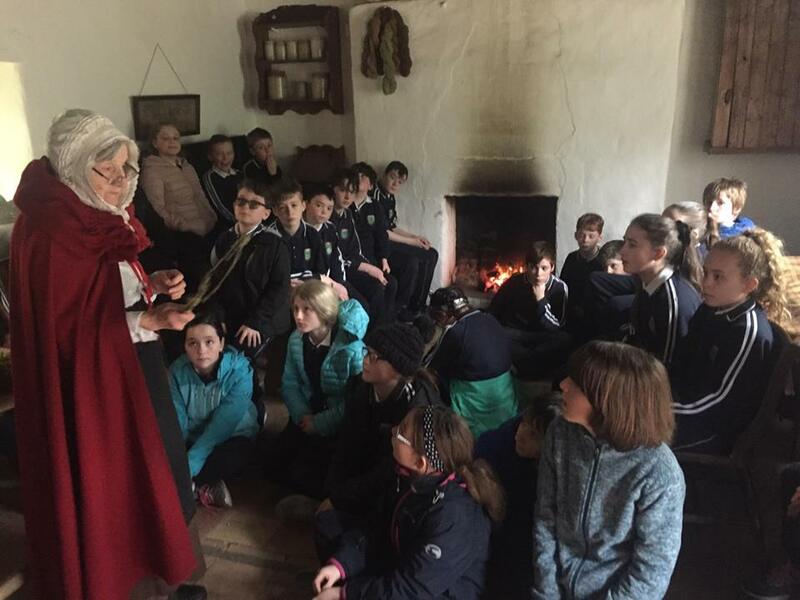 Then we went to an old stable house where they told us about the melon family.